Sometimes the kids and their toys have to make sacrifices, even if they aren’t aware of the sacrifice at the time. While doing more tinkering with gear and my bikepacking setup, I realized the foam ammo balls my kids shoot at each other would make a great end cap for my tarp pole. 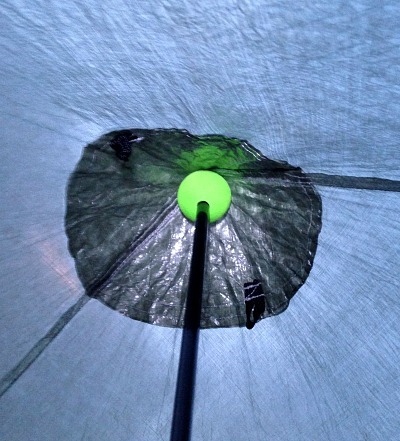 The tarp pole is carbon fiber and the end needs some kind of cap to prevent it from poking through the tarp. I had fashioned a cover of foam and electrical tape that worked ok. The problem was the foam and tape were always attached and didn’t allow the pole to fold up flat. 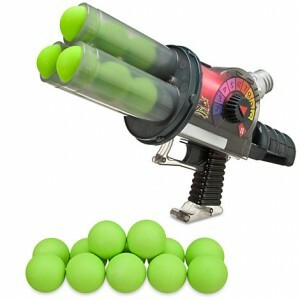 Enter the Zurg gun of destruction! The foam ammo doubles as an end cap. With this option, the ball can be removed from the pole when not in use and that allows the pole to fold up flat for storage. Perfect. So, yes, I’ve been stealing from my kids’ toy box. I haven’t taken any Legos or board game pieces…yet. I’m really doing my job as a parent by removing the amount of ammo my boys have available to shoot at each other. Perfectly fine parenting in action if you ask me. All it took was a couple of minutes with a drill press and the magic foam ball end cap was ready for use. 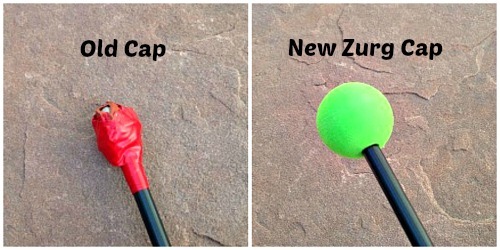 As shown in the picture below, the new cap looks a whole lot better as well as being removable. It also has a better shape for distributing the pressure at the peak of the tarp. The new cap works much better when setting up the tarp. When the tarp is taken down, I simply store the end cap in with the tarp and then the pole folds flat. Who knew the ammo from a kid’s gun could also work for bikepacking? Is that considered thinking outside of the box or outside of the barrel? Ha ha. Disclaimer: No kids were damaged or deprived during the writing of this post. Their toy arsenal still consists of plenty of guns and ammo. The owner of the Zurg gun was a little upset that he lost one piece of ammo. It was remedied by letting him assist in taking the pictures for the post.